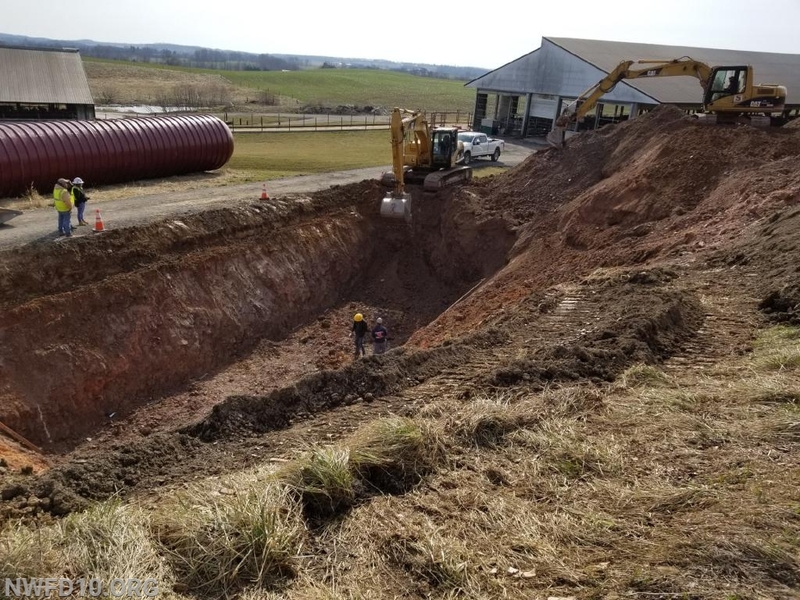 Stambaugh's Excavation has been busy with the installation of the Hoke Road Fire Protection Tank this week. 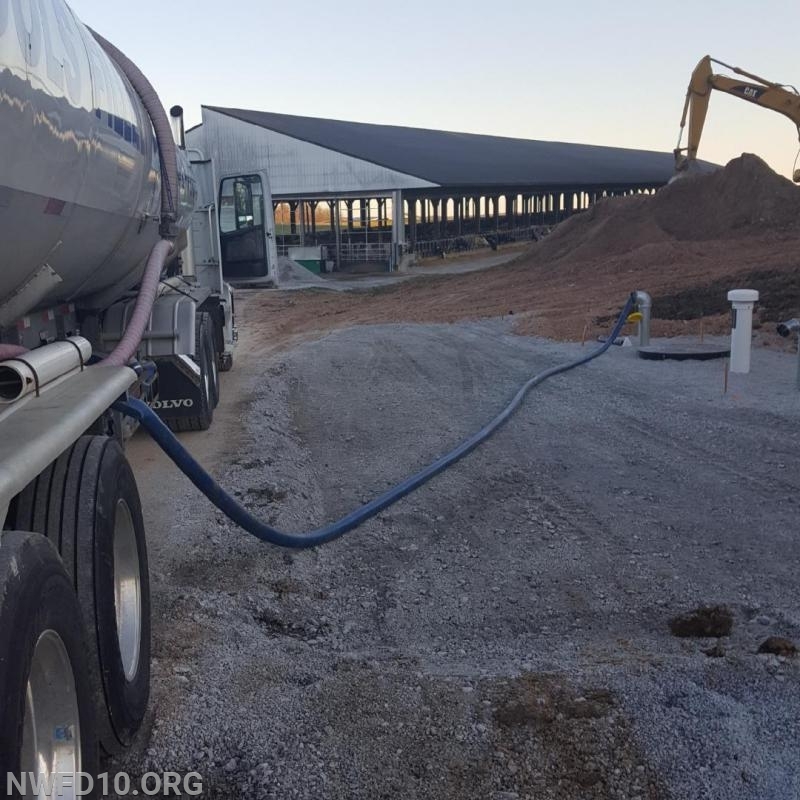 The tank was delivered on March 14th and in the 2 weeks since, the excavation has been completed, the tank was installed and secured, the hole was backfilled and the tank was filled with water. This week the final connections were made, concrete was poured. The only item left prior to the tank being placed in service and the project being completed is paving from the road to the tank site. See the pictures that are attached to see the progress and keep an eye out for the announcement of the ribbon cutting ceremony! 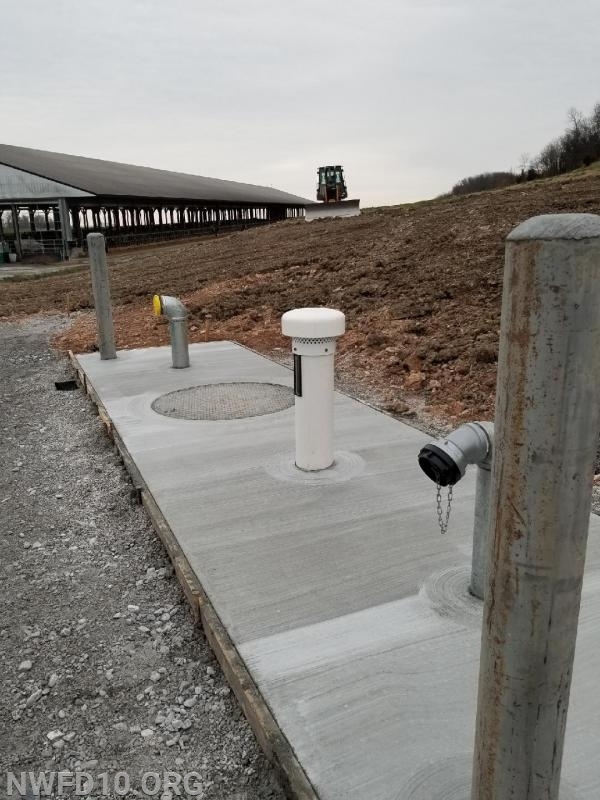 Final grading has been completed and the connections have been attached and the concrete pad has been poured. The tank was filled with 30,000 gallons of water.